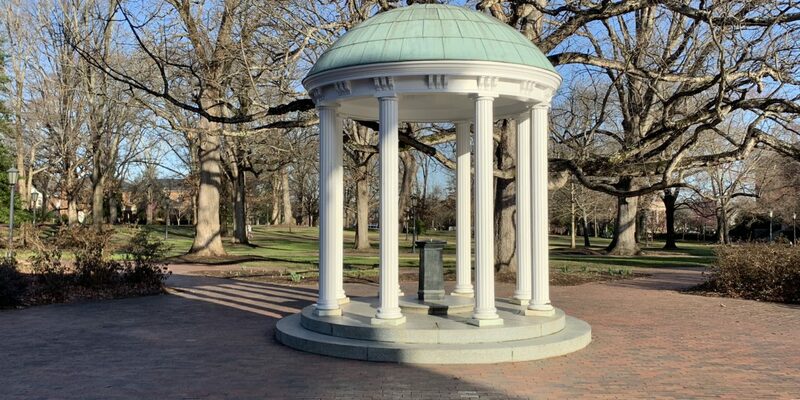 Interim UNC Chancellor Kevin Guskiewicz took to social media to respond to a song that was sung during a recent conference on campus. The performance was part of the Conflict Over Gaza: People, Politics and Possibilities conference held from March 22-24 at the FedEx Global Education Center on UNC’s campus. Per the description on UNC’s website, the conference aimed to “shed much needed light on the current realities in the Gaza Strip, giving participants a deeper understanding of the context of these realities and offering concrete options that can better the lives of Gazans.” The conference was sponsored by the UNC Center for Middle East and Islamic Studies and the Duke-UNC Consortium for Middle East Studies. “Many members of our community,” the statement says, “including Interim Chancellor Kevin Guskiewicz, are heartbroken and offended by a musical performance during the three-day “Conflict over Gaza” conference held at UNC-Chapel Hill in March and included in a recent video shared on social media. “Leaders of UNC Global and the Center for Middle East and Islamic Studies—including Raymond Farrow, associate provost for global affairs and interim chief global officer; Rudi Colloredo-Mansfeld, senior associate dean for social sciences and global programs; Carl Ernst and Charles Kurzman, co-directors of the center; and Shai Tamari, associate director of the center—stand firmly with Chancellor Guskiewicz in absolute rejection of anti-Semitism. Do something about it. Don’t just give us lip service on social media. Or are you just another spineless suit?